This is a new feature here at The Book Review. Everyone loves music, right? I recently discovered a vast quantity of quality biographies, autobiographies and other books centered around music. Many of these books are not new releases, but they are worth looking up if you are fan or just curious. 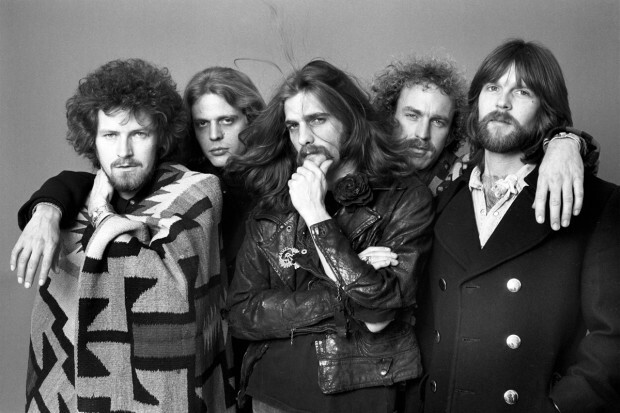 Don Felder was just a poor boy from Florida, but when he joined the Eagles he soared into the stratosphere. 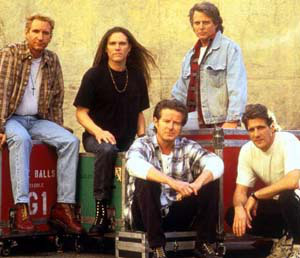 Alongside former bandmates Don Henley, Glenn Frey, Randy Meisner, and Felder's childhood friend Bernie Leadon, he sold tens of millions of records (Eagles: Their Greatest Hits: 1971-1975 is the bestselling album of all time), performed before countless adoring fans, and co-wrote the renowned hit 'Hotel California'. His guitar-playing ability lifted the band from mere popularity to iconic status. And now Don Felder finally breaks the Eagles' decades of public silence to take fans behind the scenes - where drugs, greed and endless acrimony threatened to tear the band apart almost daily. Maybe there was too much talent. Maybe the personalities clashed with the egos. Whatever the reason, there were always these explosive arguments going on while I sat silently in a corner. I never expected it to survive. Never once did I feel, 'Hey, I got it made. This thing's gonna last for years.' Felder was wrong about that, but he was also right: the band split up in 1980, only to reunite for 1994's mega-selling 'Hell Freezes Over' album and tour. But tempers continued to flare, and in 2001, after 27 contentious years as an Eagle, Felder was summarily fired by the 'board of directors': Frey and Henley. Lawsuits and counter-suits followed. 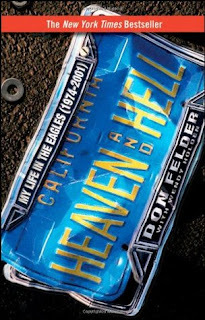 In 'Heaven and Hell', Felder takes us inside the pressurised recording studios, the trashed hotel rooms and the tension-filled courtrooms, where he, Frey, and Henley had their ultimate confrontation. Heaven and Hell: My Life in the Eagles (1974- 2001) by Don Felder is a 2009 Wiley publication. I’ve had this book in my TBR for a long while, and after my husband and I watched “The History of Eagles” on Netflix, I decided to push this book to the top of the pile. I had read the first chapter or two when it was announced that founding member of 'The Eagles', Glenn Frey, had passed away. 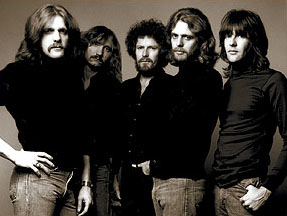 However, I have listened to the Eagles music for most of my life and despite their reputation for being egotistical jerks, I still like the music and you have to admit, the guys are talented. They sing, write, harmonize, and play musical instruments, and can cross over into more than one genre. I will freely admit the band members are not easy to like, and just from watching that documentary over the band, I could tell what of kind of people they are, especially Glenn and Don, at least in their professional lives. So, even though I felt Glenn’s loss, and was very sad to hear of his passing, my curiosity got the better of me, and I kept picking this book up over the past few weeks and reading a few chapters here and there, until finally, I put everything else aside in order to finished it. So, what did I think of Felder’s take on things? I have to say, the tone was far less strident than I had anticipated. Felder describes his poor background in Florida, his upbringing, issues with his father, his musical influences, how he got started in music, met Bernie Leadon, and how all this eventually culminated into his long time stint with 'The Eagles'. As with any rock bio, Felder attempts to portray himself in the best light possible, while everyone else was the villain. Still, it was not hard to believe that Glenn and Don took over the band and became the leaders, delegating everyone else to ‘staff’ positions. I understood his position on the political front and thought Frey grossly overreacted after playing the dictator, forcing his political leanings down Felder’s throat and then holding a grudge for years on end. Don was chided for refusing to move forward and accept that the original agreement the band had made in the 1970's no longer applied when the band reformed in the nineties. He was sure he was being screwed over, but apparently he was the only one who felt that way. But, frankly, IF his version of events is true, then he has a valid complaint, especially since his manager was not working in his best interest. Don has every right to question all the answers, especially where his pay was concerned. Wouldn’t you? He did bleed bitterness onto the page as he labeled Don and Glenn as “The Gods”, and described the constant tension he worked in. But, there were no real surprises there, and well, there wasn’t much of anything here I had not surmised or heard before, with a few possible exceptions. However, when it came to Don's personal life, I came away feeling less than impressed with his attitude toward women. We all know the groupies on the road are rampant, especially back at the peak of the group’s success. Don painted himself out to be a victim of circumstances, having to be made of stone in order to have resisted that type of temptation. He had a supportive and loving wife, a nice family, and he rationalized his actions by trying to convince us the women meant nothing and his that he was able to separate what happened on the road from his family life, as though that made it all okay. Eventually, his wife wises up, and the marriage still manages to survive a great number of years. But, when she launched a highly successful career of her own, he suddenly couldn’t cope with that. He was absent for long periods of times while touring, but when his wife was absent from home, and not putting his dinner on the table and constantly nurturing him, and soothing his ego, the marriage fell apart. Good grief! What a sexist!! Ultimately, Don complained too long and too loud, and it ended up costing him his gig with the band. Obviously, this was something he never saw coming and he has had a very hard time coming to terms with the way things played out for him. He sued the band and believes he is in the right, and my understanding is that they issue was settled out of court. Overall, the book is interesting as far as it goes, but in many ways it’s a rehash of old animosity and bitterness, something Don seems to want to hold onto and nurse, instead of letting it go and living his life. As far as how things went within the band, I was not at all shocked, and you won’t be either. Love them or hate them, (there doesn’t seem to be an in between), The Eagles music will continue on for decades to come. Each band member is talented in his own right, and from a musical standpoint, I respect them. Don has a lot to be proud of career wise and was far luckier than most in that regard. As it stands now, it would appear he has alienated his former bandmates and friends, or they alienated him, and he seems very hurt by the loss, but hopefully, he can look back on his career and focus on all his success and hold onto that, instead of all the negative aspects, and let go of all that bitterness in order to find inner stability and peace. 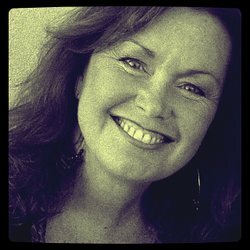 Wendy Holden (also occasionally known as Taylor Holden) is a novelist, non-fiction author, biographer, and ghostwriter, as well as a former journalist for the London Daily Telegraph. Since leaving newspapers in 1996, she has written more than thirty books, including numerous international bestsellers and the acclaimed novel The Sense of Paper, published by Random House, New York. Her latest book Born Survivors, the story of three young mothers who hid their pregnancies from the Nazis, has been published in 21 countries and translated into 16 languages. A reporter for eighteen years, she covered news events at home and abroad, including the Gulf War, the Iran/Iraq War, conflicts in the Middle East, Communist Europe and Northern Ireland. Her non-fiction titles have chiefly been ghosted autobiographies of remarkable women, many with wartime experiences, such as the only woman in the French Foreign Legion during World War II; a young Jewish woman who repeatedly crossed German lines as a spy; and a British mother whose daughter was killed in the war in the Sudan. She also wrote A Lotus Grows in the Mud, the best-selling autobiography of Hollywood actress Goldie Hawn, and Memories Are Made of This, a biography of Dean Martin as seen through the eyes of his daughter Deana. She penned Lady Blue Eyes, the autobiography of Frank Sinatra's widow Barbara; Ten Mindful Minutes, an international bestselling book on mindfulness for parents with Goldie Hawn; and Kill Switch, which tells the remarkable story of Major Bill Shaw, MBE, who was wrongly imprisoned in Afghanistan. In 2012 she conceived and wrote the bestselling memoir of Uggie, the dog from the Oscar winning movie The Artist, published in 12 countries, and in 2013 she published an ebook for children and adults entitled Mr. Scraps about a dog in the London Blitz. Her book Haatchi & Little B, the remarkable story of the relationship between a disabled boy and his three legged-dog has melted hearts around the world. Other works have included the bestselling novelisations of the films The Full Monty and Waking Ned, as well as an Antarctic travel guide with Billy Connolly. She wrote Smile Though Your Heart Is Breaking with Pauline Prescott, and Heaven and Hell with Don Felder (of The Eagles). Her book Shell Shock, a searing investigation into the trauma of conflict from the World War One to the Gulf War, was published in conjunction with a four-part television documentary. Her various works have been serialised in national newspapers and magazines around the globe, selected for audio extracts on BBC Radio, used in schools and colleges as educational tools, and transferred to both commercial television and radio drama. She also writes screenplays, acts as her own agent and for other people's books, and is currently working on a new novel. Wendy divides her time between the UK and the US but lives mostly in Suffolk, England, with her husband, hens and dogs. See www.wendyholden.com, or make contact her via Facebook (the.real.wendyholden) or Twitter @wendholden. She writes a regular blog on her website www.wendyholden.com and owns a company that develops and publishes e-books. 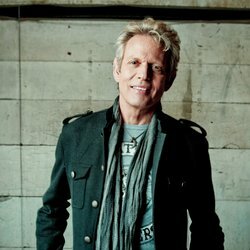 Don Felder is renowned as a former lead guitarist of The Eagles, one of the most popular and influential rock groups of our time. The band's record-setting compilation Their Greatest Hits (1971-1975) sold over 29 million copies in the U.S. alone and was awarded by the RIAA the top-selling album of the 20th Century. A member of The Rock and Roll Hall of Fame since 1998, Felder served as a member of The Eagles for 27 years, putting his mark on numerous Eagles milestones. Felder originated the music and co-wrote The Eagles' biggest hit - the iconic, Grammy-studded smash "Hotel California" - along with fan favorites like "Victim of Love" and "Those Shoes." He became immediately celebrated for his lyrical, signature guitar work on legendary songs like "Hotel California," "One of These Nights," "New Kid In Town," and numerous more. After leaving the group in 2001, Felder also became a New York Times bestselling author when his riveting confessional memoir Heaven and Hell: My Life in The Eagles proved a major commercial triumph upon publication in 2008. Growing up in the Gainesville, FL local music scene, Don Felder would incongruously encounter a number of the greatest talents that would go on to change rock and roll history. In high school, he formed a band with a young Stephen Stills; Felder also gave guitar lessons to a teenaged Tom Petty at the local music store, and The Allman Brothers were also local pals. "Duane Allman was first person I ever saw play electric-slide guitar," Felder recalls. "I said, 'You've got to show me how to do that,' so we sat on his mother's floor in Daytona Beach and Duane taught me how to play slide." Florida is also where a young Felder would first meet Bernie Leadon, a founding member of The Eagles who would be instrumental in bringing his childhood friend into the band. In fact, it was Leadon who encouraged him to come out to Los Angeles, where Felder found himself working both with The Eagles and in both sessions and live performances for numerous music legends spanning the musical spectrum: The Bee Gees, Bob Seger, Michael Jackson, Alice Cooper, Kenny Loggins, David Crosby, Graham Nash, Boz Scaggs, Warren Zevon, Joni Mitchell, Stevie Nicks, Vince Gill, Stevie Wonder, Elton John, Paul Simon, Diana Ross, Barbara Streisand - and even and old friend, Steven Stills. Putting all the tumult and glory he'd experienced to that point into perspective gave new urgency to the creation of Road to Forever - only Felder's second solo effort in a storied, four-decade-plus sojourn through rock history. Road to Forever represents the culmination of a personal journey of introspection that Felder began over ten years ago. In 2001, he suffered an emotionally-devastating double blow - separating acrimoniously from The Eagles for the last time while facing the end of his first marriage, which had lasted 29 years and produced four children. "Every identity I'd been attached to - musician, husband, and father - was being taken away," he says. To heal, Felder began writing down as many memories as he could, putting his past in perspective. Finding these musings compelling, Felder was inspired to write a book, and connected with legendary Hollywood deal-maker Michael Ovitz to set it up. "Two weeks later, I went to New York with a three-page synopsis, and received four offers from publishers," Felder says. "Now I was forced to reflect on my life." That introspection inspired him to "write out the stories of my life as songs. After I collected myself, I found I needed to go out and play music again, and that's how I began recording the upcoming album. "Who would ever thought that a guitar player from Gainesville would go on to be in The Eagles, and then become a best-selling author?" Felder continues. I had to figure all that out for myself, and I'm glad that I did. In the process of making the upcoming album, I found out who I really am - I had to find out what happened when I almost lost it all."